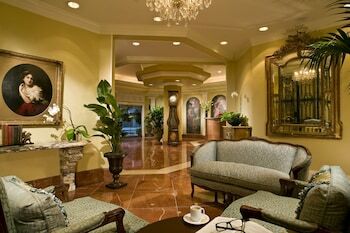 You may still be able to book by calling the hotel at 504-527-0006. Offering boutique accommodations in a fabulous downtown location, the 97-room Omni Royal Crescent Hotel is a great option for travelers looking for great rates and amenities in a more intimate setting. 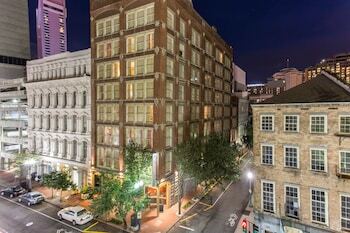 Within walking distance of the Omni are myriad Big Easy attractions, including the French Quarter, Arts District museums and galleries and renowned restaurants. Guest rooms feature floor-to-ceiling windows and plush mattresses with foam and feather pillows. To get the most out of your stay, sign up for the hotel's Select Guest loyalty program and receive free in-room Wi-Fi, bottled water and complimentary morning beverage delivery service. 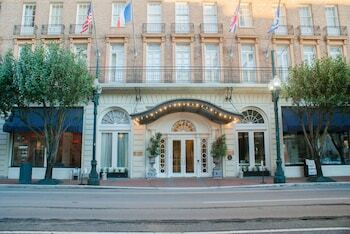 Royal Crescent Hotel is a 4-star hotel located at 535 Gravier St, New Orleans, LA 70130, US . Its nightly price usually falls between $70.5 per night and $624 per night, excluding tax, depending on room category. At Royal Crescent Hotel, AAA members often get 7-13% off the regular rate. For example, on December 19, 2018, a AAA rate of $93.6 per night was offered. Depending on your itinerary, your savings can be more than the annual AAA membership fee itself! 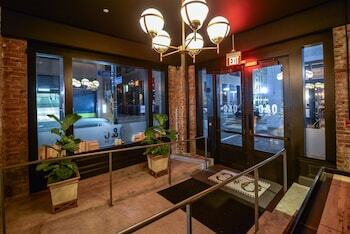 Many Room 77 users are able to pay for their entire AAA membership in a single stay. At Royal Crescent Hotel, seniors often get 5-10% off the regular rate. For example, on December 19, 2018, a senior rate of $93.6 per night was offered. $71 per night found for a Deluxe 1 Queen Bed room type. 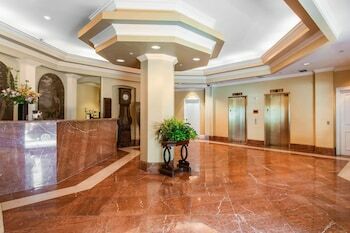 For December 19, 2018, a special AAA rate of $93.6 per night was found for the AAA - 225 Sq Ft Decorated In Modern Luxurious Decor room type. For December 19, 2018, a special Senior rate of $93.6 per night was found for the AARP - 225 Sq Ft Decorated In Modern Luxurious Decor room type. Royal Crescent Hotel sells rooms through sites like Room 77, Expedia, Hotels.com, GetARoom, and many others. Room 77 searches across dozens of different sites to find the lowest discount rates available. The lowest rate we've seen over the last few weeks was found on . In 1% of the cases we surveyed, all sites offered the same rate. You can compare real-time rates from all of these sites on Room 77. Room 77 is the only hotel shopping site that includes special discounts like AAA, senior, government, military, and corporate rates.